Challenges: lift the person before you, keep calm...stash, and project 52. I love the tickets...but those socks!?! They are SUPER cute! Such cute use of tickets. Cute use of tickets! Great lift! Love the use of the tickets. Great page! The tickets was a stroke of genius for this LO. I love it. What a cutie! 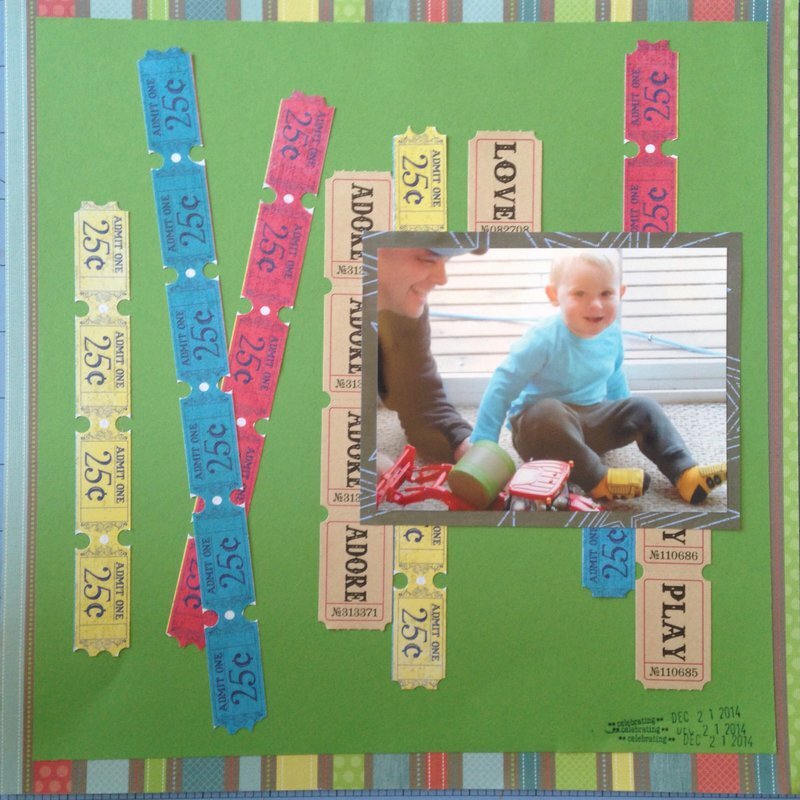 Love the use of the colorful tickets on this wonderfully cute LO! Very cute, he's a cutie. great job on the lift. I really liked the orignal of this one with all the tickets too!